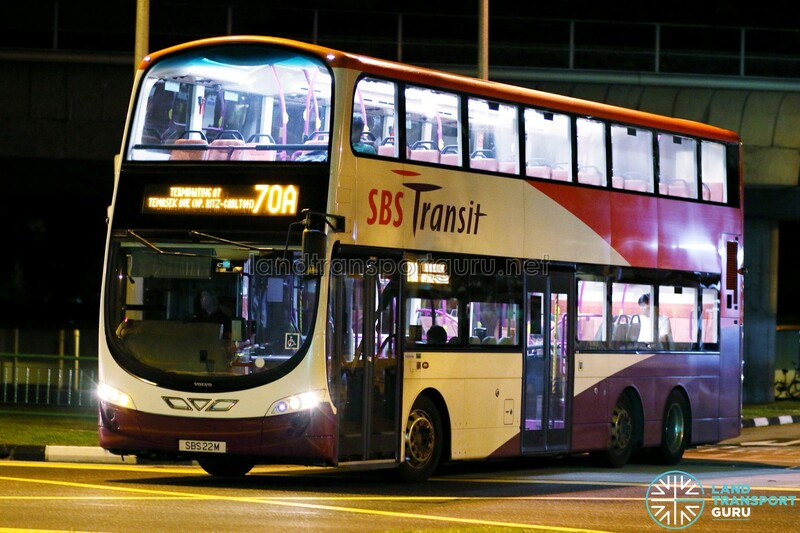 SBS Transit Bus Service 70A is a Short-Trip Service variant of Bus Service 70M. 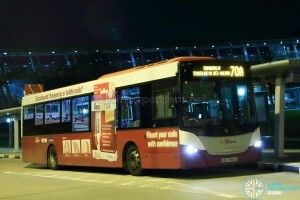 The route operates from Yio Chu Kang Bus Interchange and ends at Temasek Avenue (Opp The Ritz-Carlton), operating daily, after the last bus of Service 70M has departed. Short Trip Service 70A is a trunk service operating from Yio Chu Kang Bus Interchange and ends at Temasek Avenue (Opp The Ritz-Carlton). 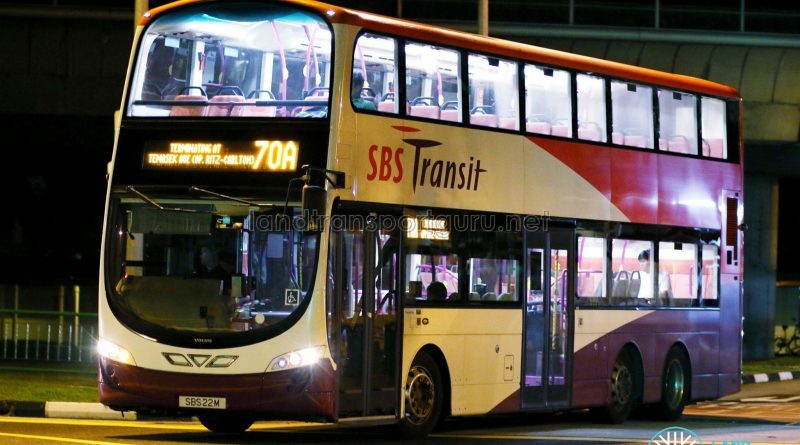 The Short-Trip Service offers unidirectional city-bound trips terminating at Marina Centre during the late night hours (after the last bus of Service 70M has departed), without having to operate full-distance trips of Service 70M.